Hogue EX-02 34239 Spear Point Flipper Knife with a G10 G-Mascus Black Gray handle. 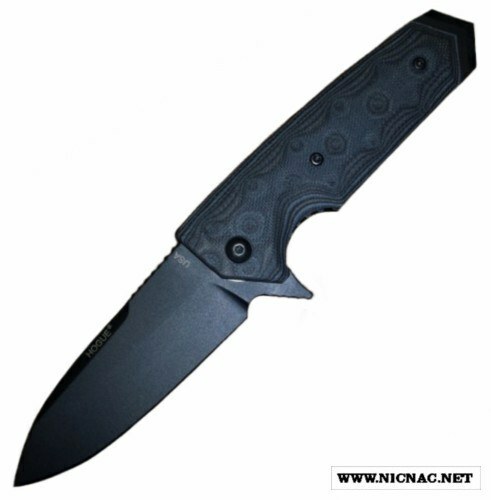 This Hogue knife is a Linerlock and is overall open length 7.875" long, 4 1/2" closed with a 3 1/4" black 154CM stainless spear point blade. It also comes with a glass breaker pommel and reversible stainless pocket clip.